JavaFX tutorial provides basic and advanced concepts of JavaFX. Our JavaFX tutorial is designed for beginners and professionals. 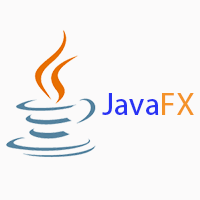 JavaFX is a Java library that is used to develop Desktop applications as well as Rich Internet Applications (RIA). The applications built in JavaFX, can run on multiple platforms including Web, Mobile and Desktops. Our JavaFX tutorial includes all topics of JavaFX library such as Fundamentals, 2D Shapes, 3D Shapes, Effects, Animation, Text, Layouts, UI Controls, Transformations, Charts, JavaFX with CSS, JavaFX with Media etc. Before Learning JavaFX, you must have the knowledge of core Java. You must also be familiar with Eclipse or NetBeans. All the examples in this tutorial has been tested on Eclipse IDE. Our JavaFX tutorial is designed to help beginners and professionals both. We assure you that you will not find any kind of problem in this tutorial. However, if you find any, you can post into the contact form.